British Foreign Secretary David Miliband made a special statement on Sri Lanka yesterday (30) and said there were three areas of concern, which are considered priority areas for Sri Lanka. 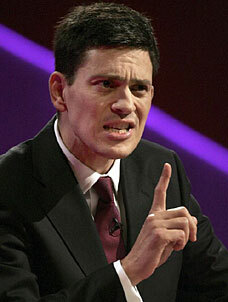 The first priority according to Miliband, was the renunciation of violence. He said violence does not serve any community in the country. The second area highlighted by him is the human, social economics and human rights of all Sri Lankan in an equal basis. Presidential election period and the restrictions on media freedom in the country. He said that a healthy democracy thrives not only through the holding of elections by independent reporting of them, an independent judiciary and an open society. The second set of rights according to the Foreign Secretary is the development of Constitutional norms and order that respects the equal rights of all Sri Lankan citizens. “This is a challenging issue in any country. But respect for minority rights is an absolutely vital part of the values essential to a civilized society,” he said. Miliband said the European Union wants to have an open and engaged trading relationship with Sri Lanka, but were forced to suspend the GSP plus concession due to the absence of key human rights conventions raised by the EU Commission. He added that he hoped that in this period the Sri Lankan Government would urgently address them.